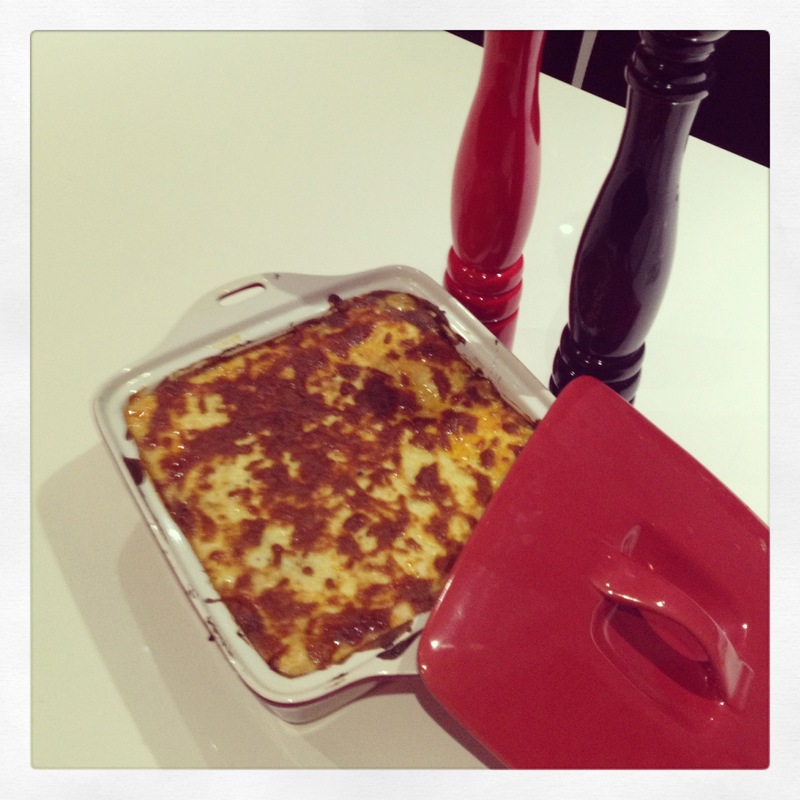 I made my first ever lasagne last night! Was pretty exciting but definitely a dish for a Sunday afternoon of slow cooking rather then a speedy mid week dish!!! I cooked everything around 2-pm and then left it until I wanted to get it into the oven. The reasoning behind that was that I didn’t want to start cooking the pasta sheets long before we were going to eat. In hindsight though because I used gluten free pasta sheets (and gluten free pasta always takes way longer to cook) I should have assembled when it was warm and left it to start softening those sheets away! Heat oil in pan and add in onion. Sauté until translucent. Add in garlic and stir until fragrant. add in both beef and lamb mince and using spoon break it up until no lumps and browned. add in tin tomatoes, paste and wine and bring to the boil. remove from heat once all liquid has evaporated. For the white sauce – melt butter in a pan, add in flour and make a rue. Add in pepper, cloves, bay leaves, parmesan cheese and nutmeg and put aside for the mixed to fuse. Then strain after about 10 minutes. Pre Heat oven for 200 degrees and assemble lasagne. I used a 12 cup capacity square baking dish but if I had a rectangle one I think that would have been better! Put a layer of white sauce on the bottom of the dish and then a layer of lasagne sheets and then a layer of meaty sauce. bake until the cheese is golden – around 20 minutes.